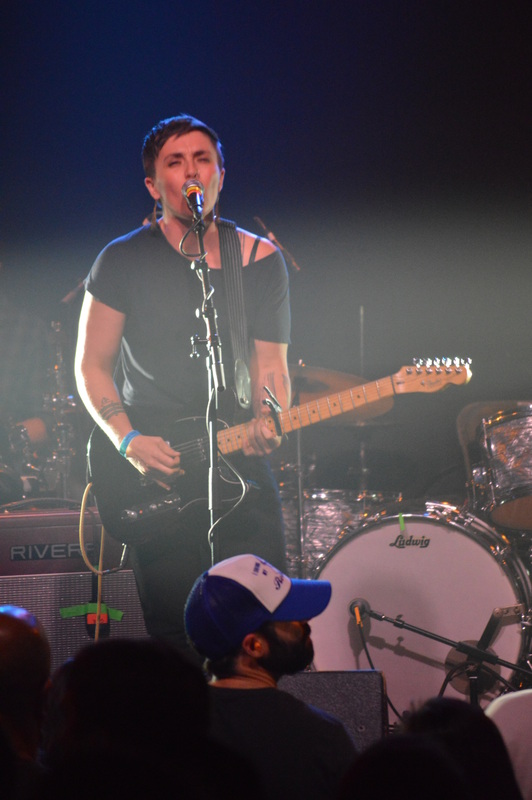 To honor Hopscotch Music Festival 2014, I’m posting my diary of my nights out in Raleigh at the event. This is part two. 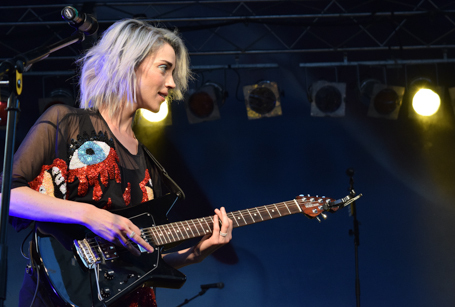 St. Vincent at City Plaza. The art rock artist routinely puts on some of the best live shows I’ve ever seen. This evening is no exception. 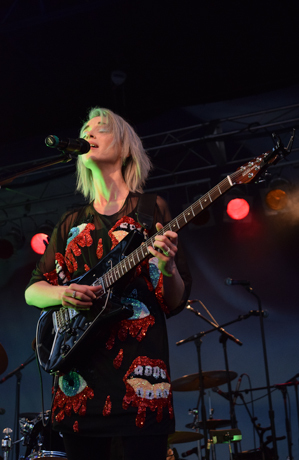 She draws heavily from her 2014 eponymous album and Strange Mercy, her 2011 release, for her Hopscotch Music Festival 2014 performance. Crowd favorites “Digital Witness,” “Birth in Reverse,” “Surgeon” and “Cruel” make the set list. 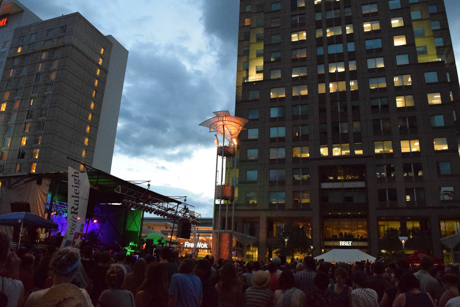 Pre-Strange Mercy favorites including "Your Lips Are Red" and "Marrow" also fill City Plaza. I get sustenance for the second consecutive night from Z Pizza (Downtown). Why? Because I enjoy the pizza and it&apos;s superfast. 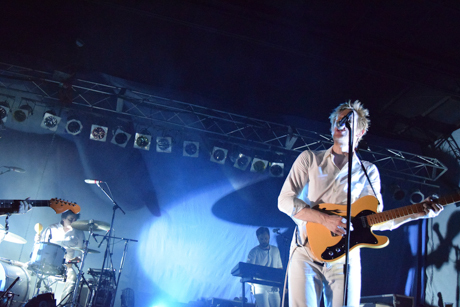 Spoon at City Plaza. 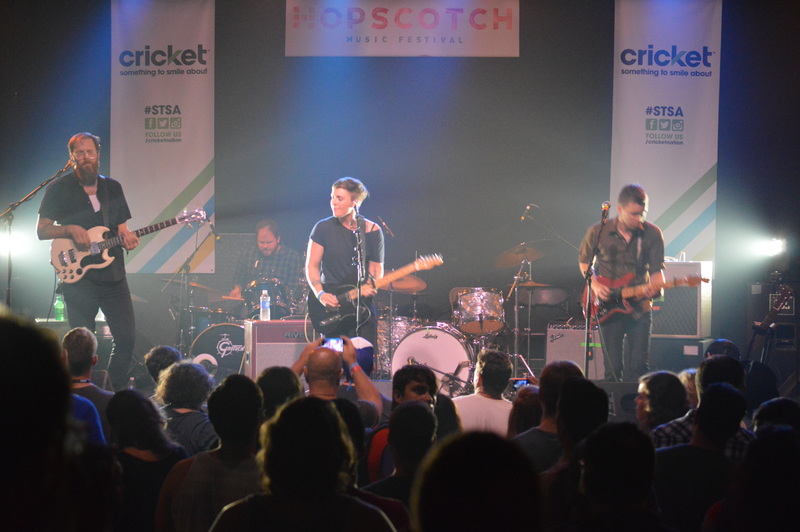 The addition of Spoon to the Hopscotch Music Festival 2014 lineup cemented my attendance. 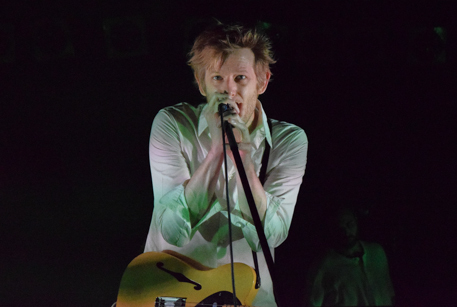 Spoon’s been one of my favorite bands for more than 10 years, and I’ve never seen them live. Mission accomplished. 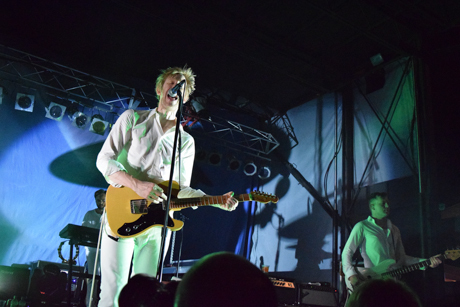 The new Spoon album They Want My Soul ranks among the best records of 2014 (so far) and is one of my two or three favorite Spoon records of the eight they’ve released. 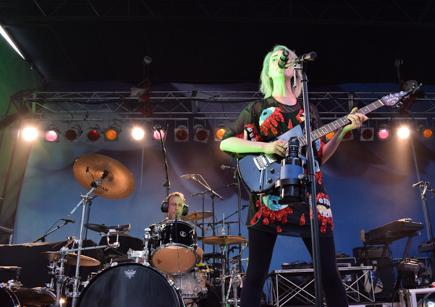 They play a healthy number of new songs, such as “Rent I Pay,” “Do You” and “Inside Out,” because that’s what bands do when they release a new record. 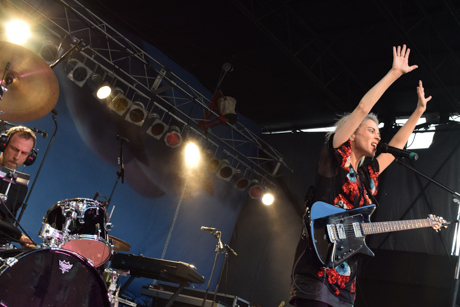 But this band hasn’t toured since 2012, and their fans want to hear some classics. We are rewarded with “I Turn My Camera On,” “Don’t You Evah” and “The Underdog,” among many others. I could not ask for more from their live show. Canine Heart Sounds at A.J. Fletcher Opera Theater at Duke Energy Center for the Performing Arts. I stroll back here to see a N.C.-based band that I particularly enjoy. Their quirky beats often stop and start at unexpected moments. Their music wanders as much as I did last night, and always returns with a purpose. 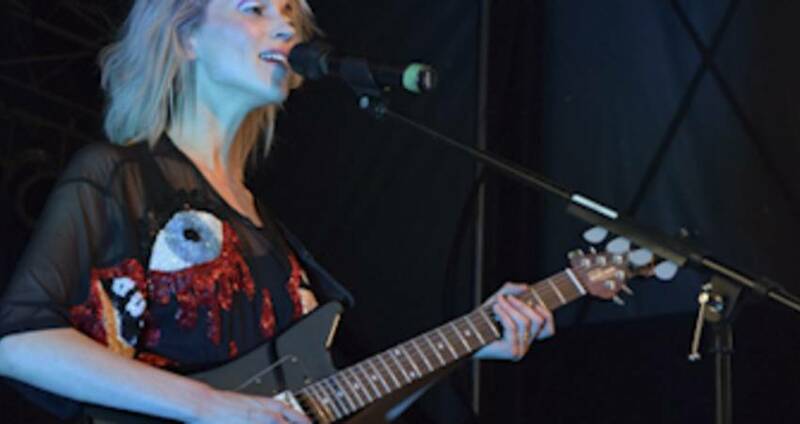 Simple harmonies and experimental guitar jaunts create complex melodies that make my soul hum. Drummer Yan Westerlund, formerly of Bowerbirds, sat in with the band IIII last night in this same venue. 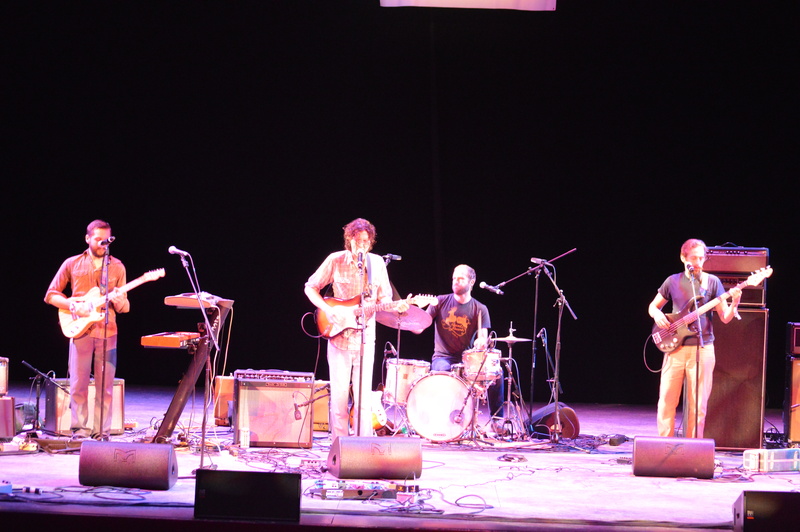 Sinners & Saints at Lincoln Theatre. I arrive early for the Trekky Records band Loamlands, which gets me a nice spot for another N.C.-based band, Sinners & Saints. I catch the final two songs of this contemporary Southern country duo. They merit further investigation in the future. 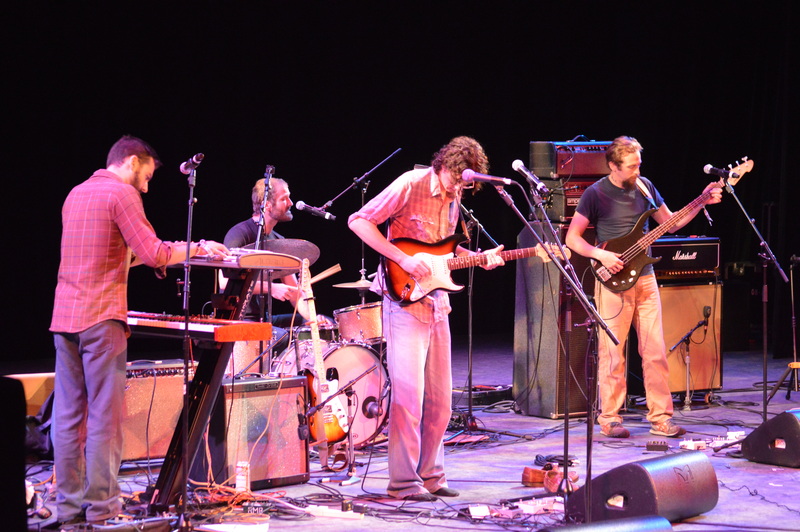 Loamlands at Lincoln Theatre. A friend of mine joked that there’s no such thing as a small show for Loamlands. Lead singer and guitarist Kym Register steals my heart instantly, her genuine smile and country-tinged twang reminding me of Josh Ritter. It feels wrong to simply classify this N.C. band as country/rock, what with Register’s rich vocals inviting comparisons to Birds & Arrows, Bob Dylan and Jenny Lewis. So take my word that Loamlands is much more than that. 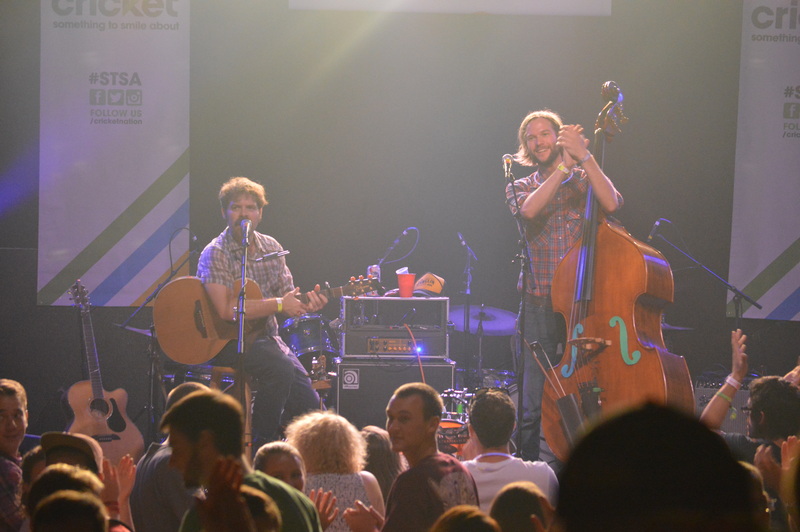 They’re alt-country, brooding folk and classic rock in the style of CCR and just darn good. 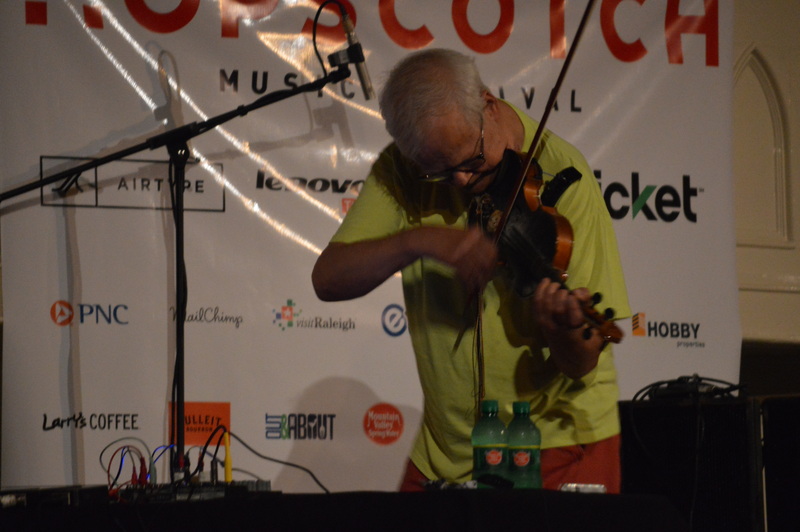 Tony Conrad at Vintage21. It’s only Fri., but I’m at church. Vintage Church on S. Person St. graciously opened its doors to the Hopscotch Music Festival 2014 crowd, the perfect setting for quiet acoustic acts. I’m not sure Tony Conrad qualifies. 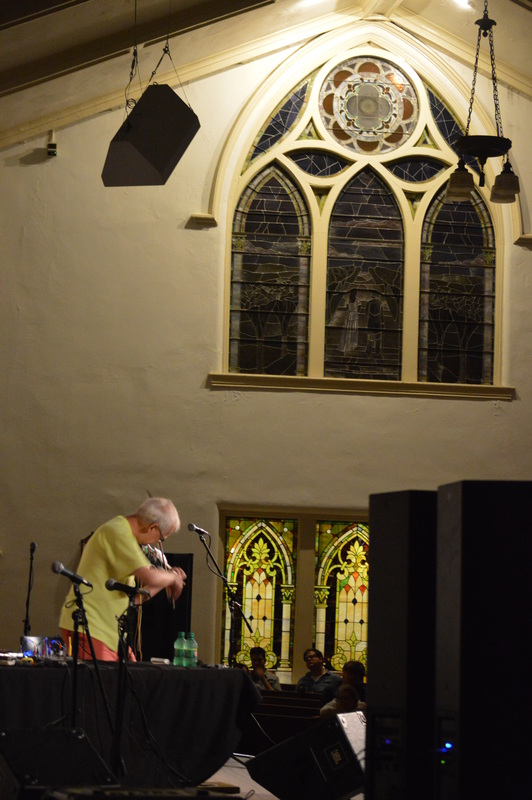 He’s 74 years old and a master violinist, but he’s not playing classical music. His long, droning songs are experimental noise, and I can see exactly how his former 1960s bandmates Lou Reed and John Cale would take to his style. Freeman at A.J. Fletcher Opera Theater at Duke Energy Center for the Performing Arts. 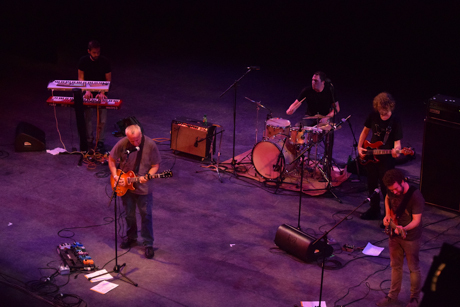 Also known as Gene Ween, co-founder of the band Ween, he drew a crowd of loyal fans to the venue. I’d seen Aaron Freeman in three different bands over the years. I saw him many times with Ween, where he let his weirdness hang out. 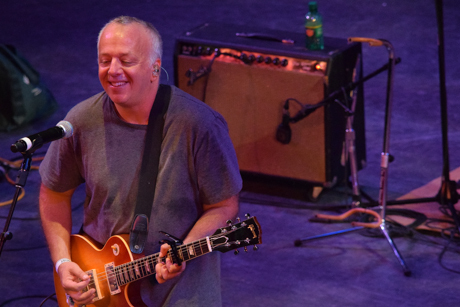 I saw him when he fronted his solo band as well, Gene Ween Band, a few years back. 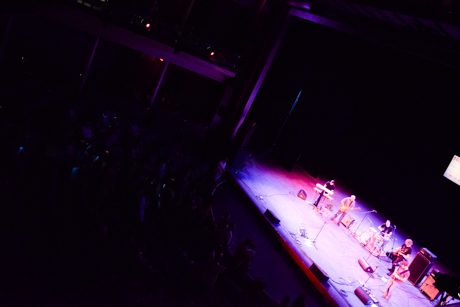 Tonight, with scores of raucous, devoted fans on their feet, Freeman rocks the house. 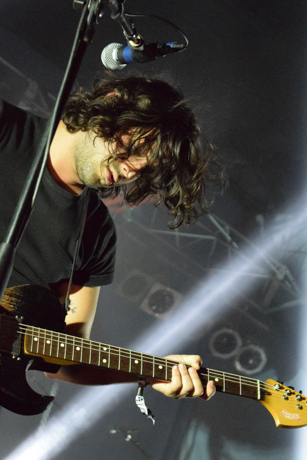 His new music is straight-up rock, and he performs it with an honest gusto befitting his personality. Ween fanatics are treated to “Transitions” and “Exactly Where I’m At,” but he’s mainly sticking to songs from his self-titled album, released earlier this year. 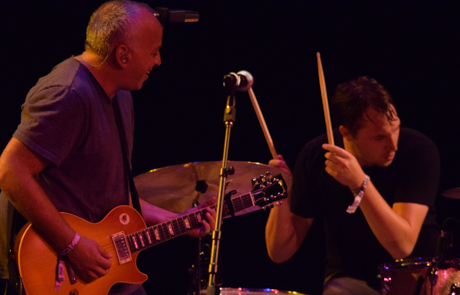 I check out Sun Kil Moon at Lincoln Theatre. After the show, I decide to call it a night. Time to go home and prepare for a big Sat.